When you start to get an understanding of what Zadak is all about; you'll fully understand how we're constantly reaching towards the extreme in the PC and tech industry. Zadak’s philosophy is to pursue innovation and break through our own limits. We have a deep rooted belief in the modding industry and it can be seen within our products. Zadak houses a team of modders, gamers and people from the tech industry who exude style/creativity. Originality is the name of the game and we set the standard. We wanted to build custom PC that embodies the essence of what we're all about. This PC was named, “MOAB” or The Mother Of All Bombs. This name digs deep into its gaming heritage. 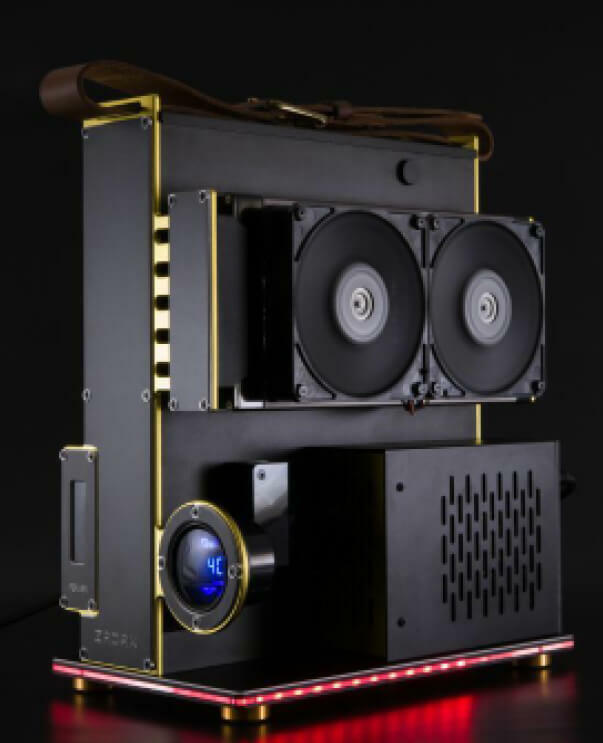 Once we dig deeper into this PC you will start to understand why it is at the pinnacle of PC and modding tech. 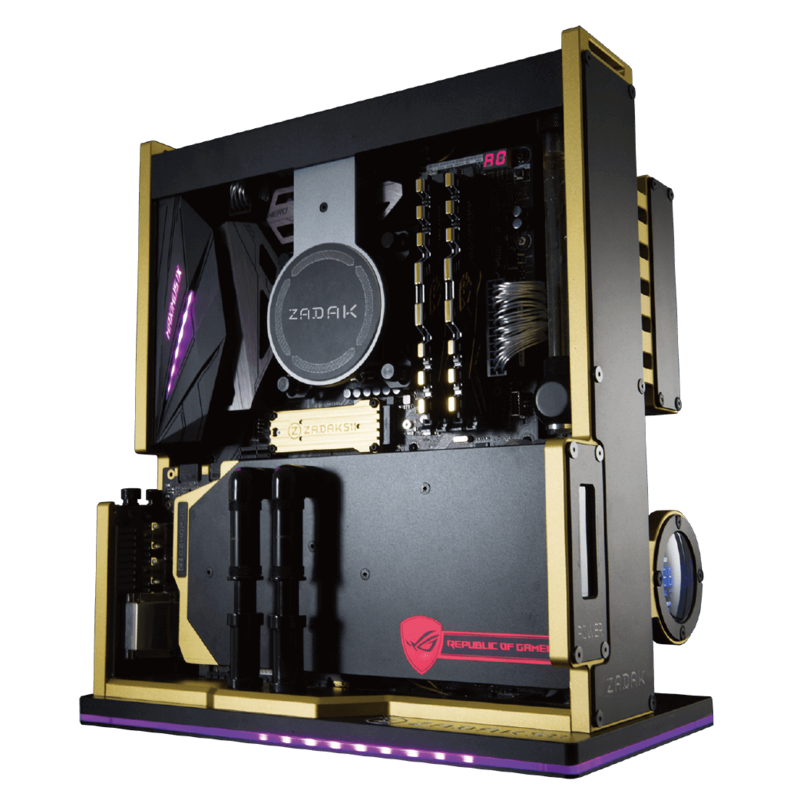 It's the production version of our, “Nuclear Warhead” PC that was shown during Computex 2017. Very few companies in the industry are capable of making a machine like this. When coming up with the concept the Zadak team of designers and modders wanted to build something that could be owned by enthousiasts everywhere. We not only set out to accomplish this task but, it also had to solve common water-cooling problems. It needed to save space, be durable and most of all; have that original style that Zadak is known for. A common issue; especially for builds that go to the office, friends houses, LAN events and PC shows is the hardline tubing. It can crack from being transported and a custom watercooled system also takes up a lot of space. These are extremely tough challenges to overcome. Especially when using some of the best hardware on the market. We attacked this challenge by designing a distribution plate that would remove the need for the majority of the hardline tubing usually required. It also allowed us to make the entire PC more compact. 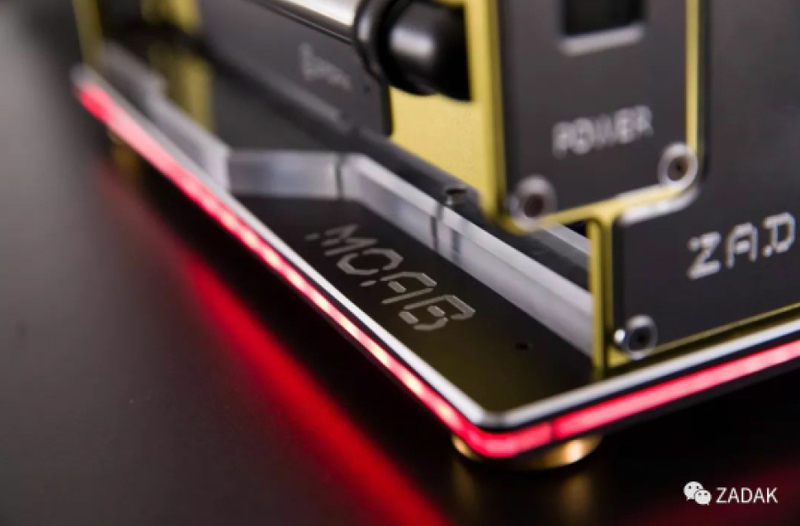 MOAB features lots of innovations including capacitive switch used to turn it on as well as a built in display to relay real time information like water temperatures and voltage. 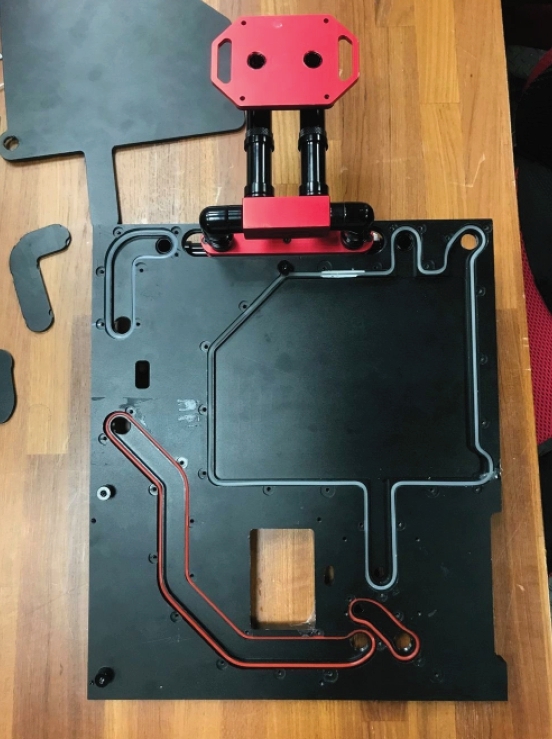 Zadak didn't stop there; a custom CNC milled CPU waterblock was painstakingly designed and crafted. This allowed us to lower average operating temperatures by up to 50%. A custom RGB controller was also added to MOAB in order to give the end user further customization possibilities. All of this meticulous design is backed up by the some of the best hardware on the market. This helps assure that MOAB will perform at a breakneck speed; even when put against some of the most intensive games in the market. The genius behind the distribution plate is the inner aluminum structure that not only solves the issues stated earlier but, it also dissipates heat itself. Having the distribution plate mounted to the aluminum structure acts like a giant heatsink. The water-cooling channels in the distribution plate connect each part of the hardware with the water-cooling. The distribution channels serve other purposes as well. They help to keep the distance the coolant has to travel short. Being able to fully cycle the coolant quicker makes it more efficient. This eliminates the need for for the vast majority of tubing. It also keeps the amount of fittings required; very low. A common problem with enthousiasts is bending tubing. It takes a lot of practice to master and can be extremely frustrating. 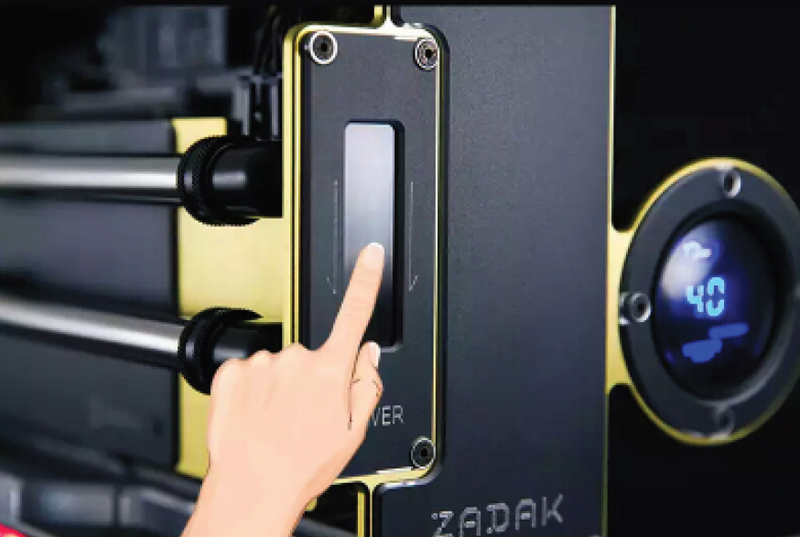 Zadak’s distribution plate solves this common issue that can quickly become a headache for the end user. There's one spot where tubing is needed and that's to the graphics card. We went with the strongest tubing on the market which is metal tubing that is polished on the outside to give it an edgy and elegant look. Even small decisions like metal tubing, make a huge difference in the overall design. 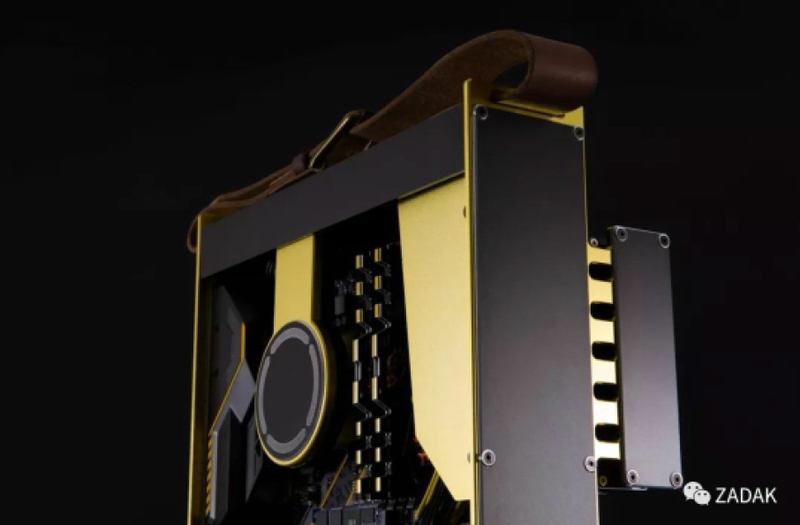 The MOAB PC not just awesome; it shows the craftsmanship and genius that is housed within Zadak. We made sure to take each part of MOAB to another level. From the real time water temps to the beautifully built aluminum chassis. Everything has a place and purpose in MOAB. This PC embodies all the things that are possible when creativity is used to push the boundaries. Zadak firmly believes that success starts with attention to detail and they couldn't be more right.